WASHINGTON, D.C. (Oct 23, 2015) — Today, Speaker of the House John Boehner appointed Congresswoman Vicky Hartzler to the Select Investigative Panel of the Energy and Commerce Committee. Ten videos were released since July showing high-level officials at organizations such as Planned Parenthood, Stem Express, and Advanced BioResources discussing actions that would potentially violate federal law. Moreover, their discussions imply that these criminal actions are widespread. This panel will be tasked with discovery as to the prevalence of these practices. Also named to the panel are Chairman Marsha Blackburn, Reps. Diane Black, Mia Love, Sean Duffy, Dr. Larry Bucshon, MD, and Dr. Andy Harris, MD. 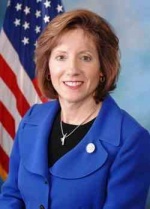 Hartzler, a co-chair of the House Values Action Team and member of the Congressional Pro-life Caucus, represents Missouri’s Fourth Congressional District in the U.S. House of Representatives. She serves on the House Armed Services, Agriculture, and Budget Committees.